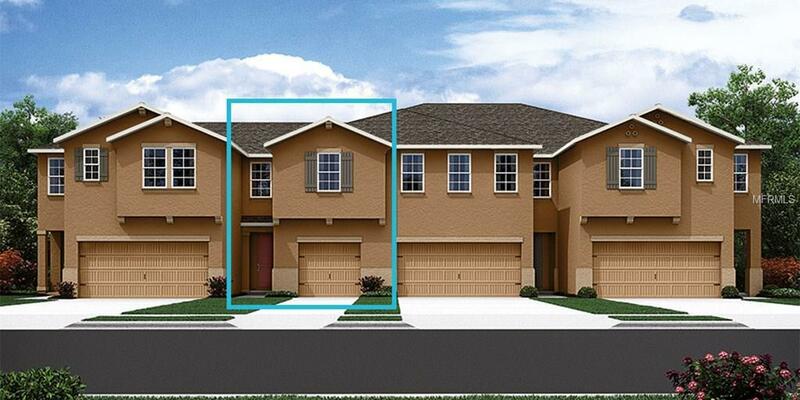 UNDER CONSTRUCTION - ?3/2.5/1 town home located close to the pool! This open floor plan features beautiful Espresso cabinets, Millenium Cream granite counter tops and upgraded back splash. Open downstairs with a screened lanai right off the gathering room makes this a great plan for entertaining. All bedrooms are upstairs with master suite featuring a tray ceiling, MASSIVE walk in closet and huge shower. Both secondary bedrooms have walk in closets as well. Loft area upstairs gives you more living space for the kids or an at home office. Neighborhood is gated and features a pool, cabana, bbq area and is close to 275, 75, Veterans Expressway and 589!